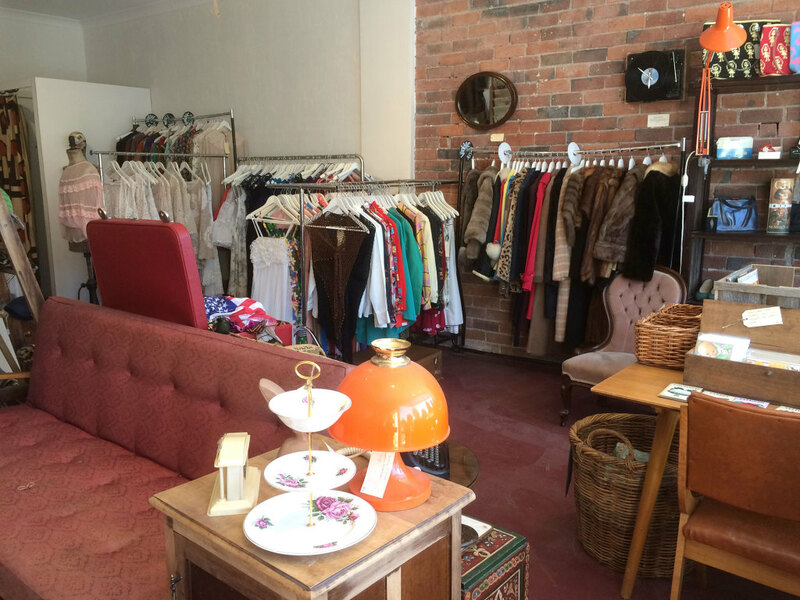 UPDATE 25th July 2015 – Minette’s Vintage is closing it’s doors on 1st August 2015, however you can still browse and purchase via the new website! 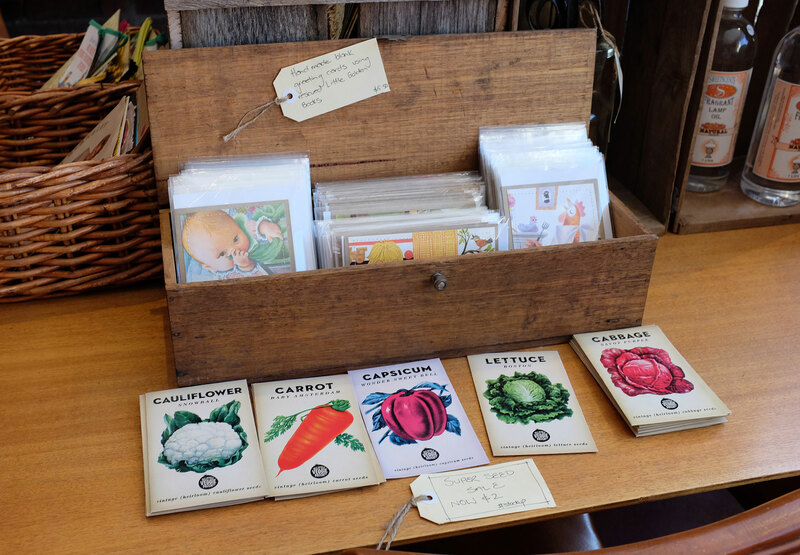 Way back in March, we discovered the gorgeous Amy and her lovely shop, Minette’s Vintage….and I have made quite a few visits back since, always finding a treasure or two! 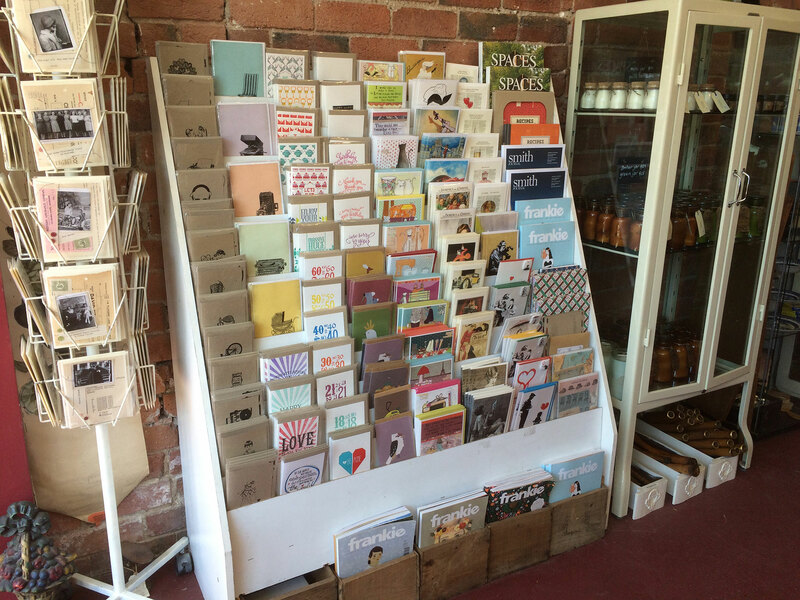 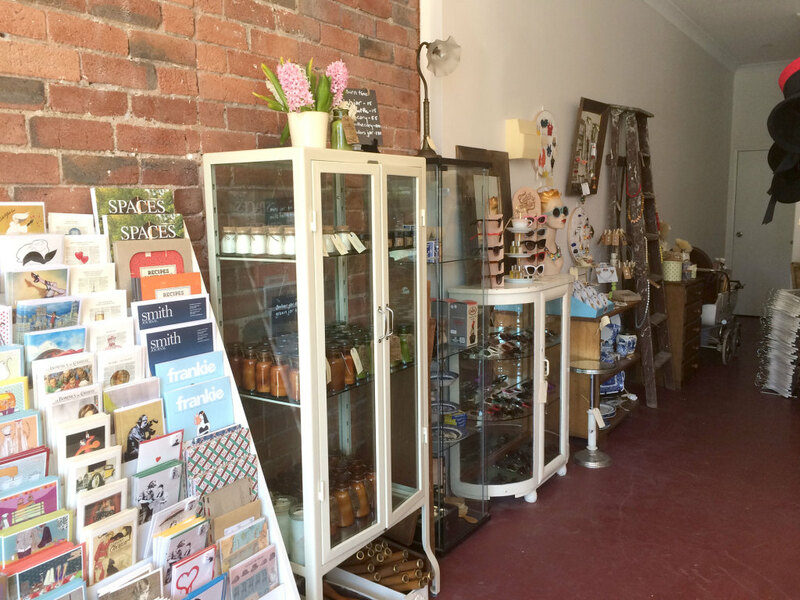 About four weeks ago, the shop moved into bigger premises…right next door! 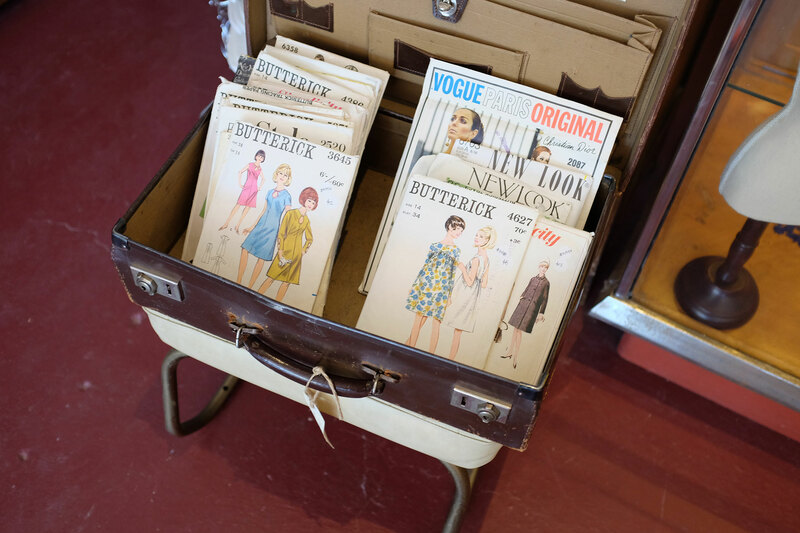 So, with me in need of a little vintage shopping R & R after our big week, we headed over to Richmond to check out Minette’s Vintage new abode. 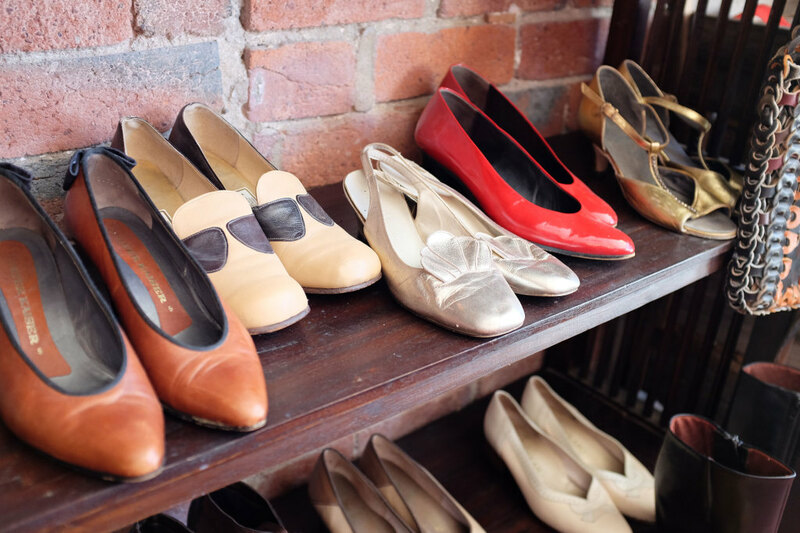 We always love catching up with Amy…she introduced me to vintage and retro style, and I am so very glad she did! 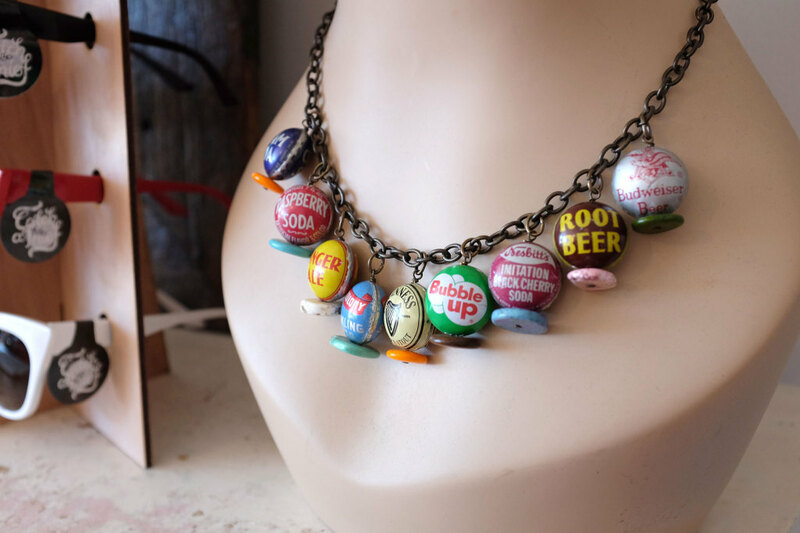 Including these designs from the Australian label Chuckles and Boo…..they are handmade from rescued vintage crochet! 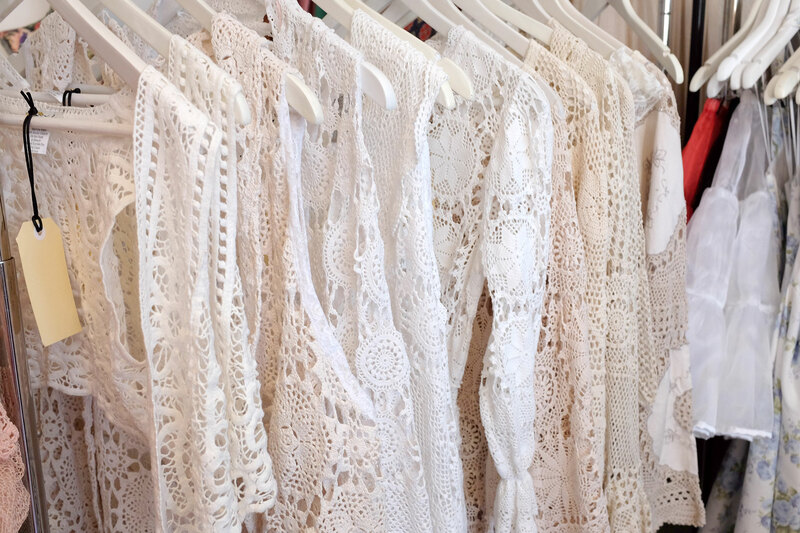 See the white lace dress with the long sleeves in the middle….now mine! 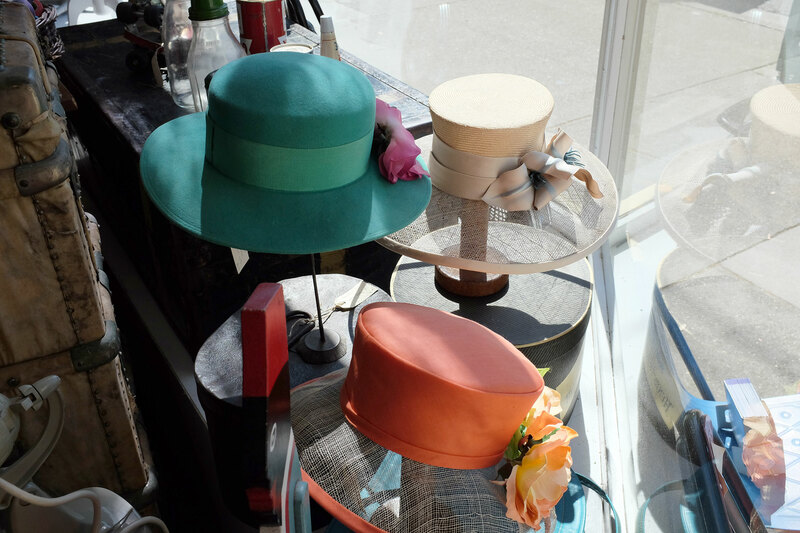 Lots of hats…perfect for the Spring Racing Season! 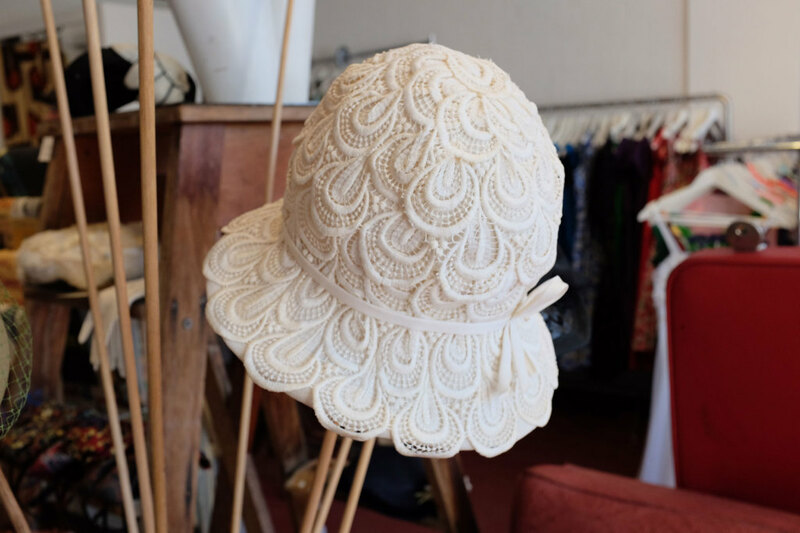 I loved this 1960s one…but sadly, it was too small for my head! 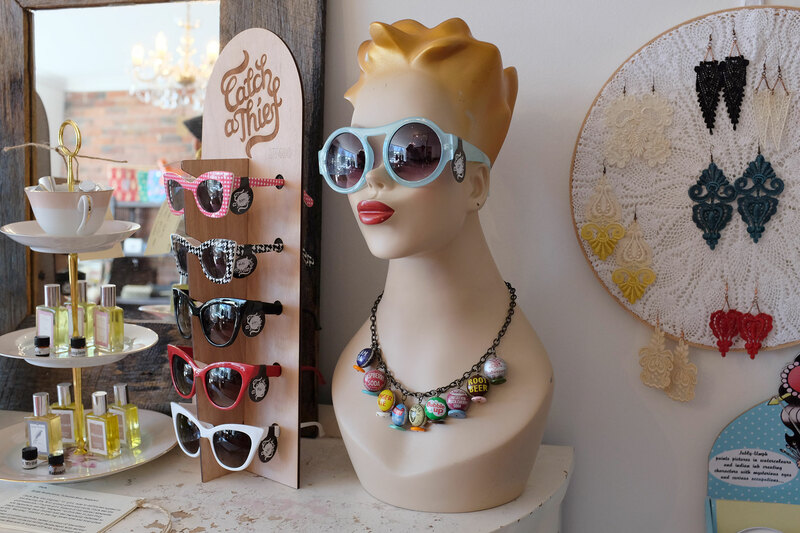 Minette’s Vintage is a stockist of the vintage replica sunglasses, Catch a Thief, that I wrote about a few weeks ago…and there are some fabulous new designs….check out those blue ones! 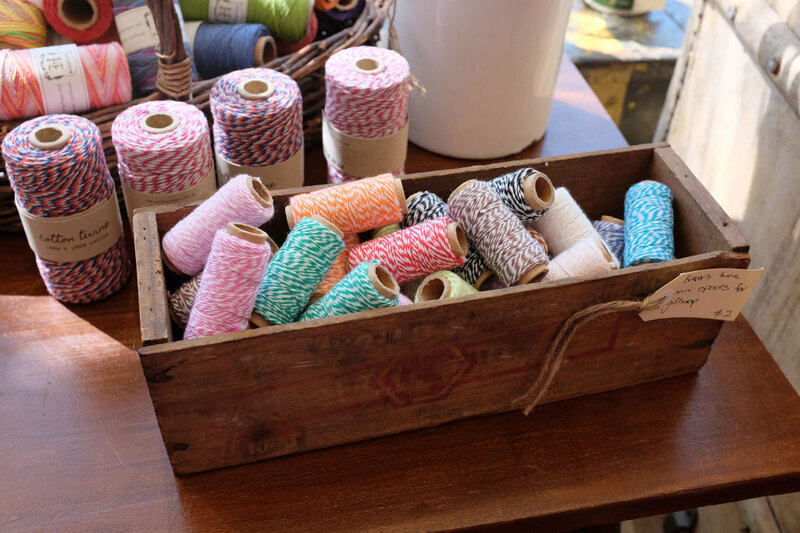 And bakers twine for wrapping presents…. 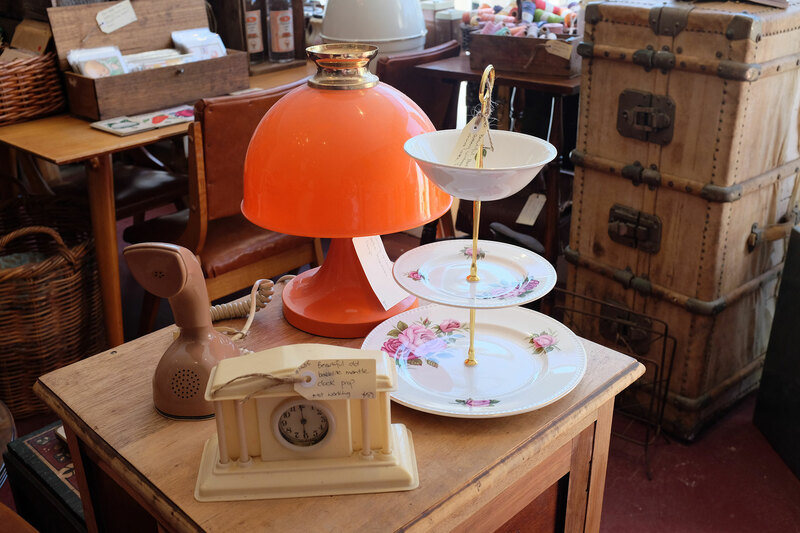 You will also find some vintage items for the house….such as an old radio, phone and lamp! 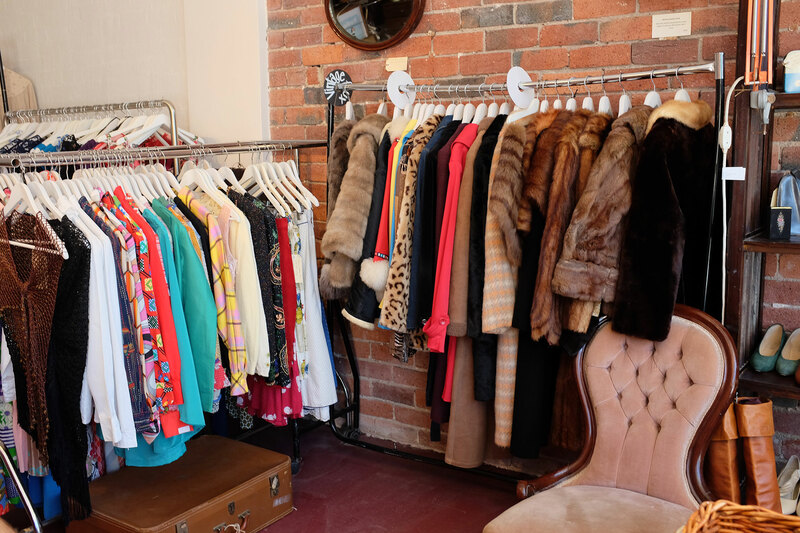 If you are looking for an outfit with a difference, or a gift for a “hard to buy for” person, pay a visit to Minette’s Vintage…I am sure you will love this store as much as I do! 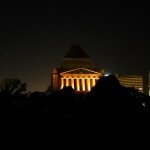 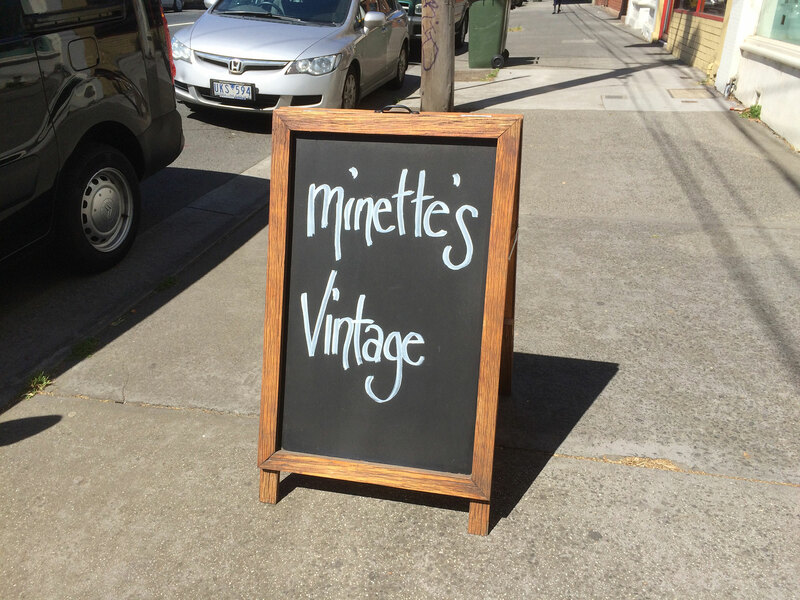 Minette’s Vintage is now located at 374 Burnley Street, Richmond, VIC 3121. 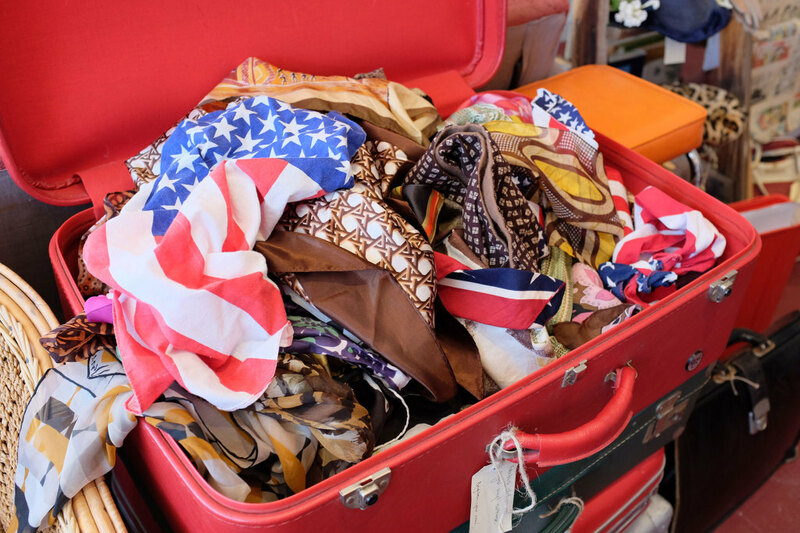 « Book Review -The Monogram Murders	» Post Hernia Surgery Checkup – All is Good!